In a dystopian future, city states fight each other over natural resources. 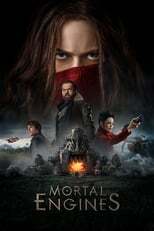 Mortal Engines is directed by Christian Rivers and was released on Dec 14th, 2018. Director Christian Rivers's Science Fiction & Action movie Mortal Engines is produced by Scholastic Productions & Silvertongue Films & was released 2018-11-27.